At the end of last month, we packed the car with everything but the kitchen sink, not forgetting Lupo, and set off from Yorkshire at an eye watering 4.30am. Great advice from my work colleague as it turned out, as we arrived in Cornwall mid morning, ready for a bank holiday weekend exploring all that the region has to offer us dog owners. Wanting to get our bearings, we went straight to Hoburne Doublebois, the park we would call home for the next few days. Luckily there was a kids playground, which let our daughter stretch her legs, whilst Lupo investigated the grounds. 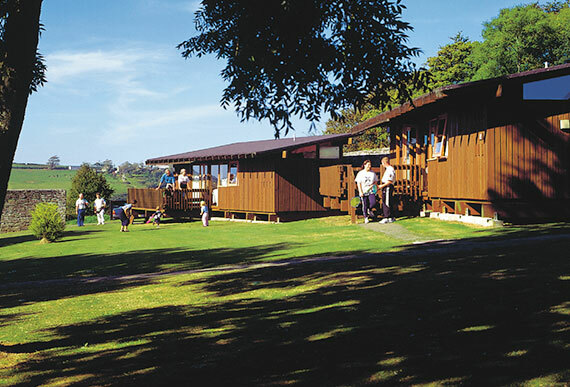 The park is made up of lodges of varying sizes and surrounded by a scenic golf course, with far reaching views. It was quiet at this time of year, perhaps a little chilly for most holiday makers, but we didn’t mind the peace and quiet. We spent the first afternoon at a picturequese fishing village called Polperro, which was a 40 minute drive from the park. After parking up, we stopped for lunch at a quaint little pub, and sat outside in the sun. Lupo was quite happy with his nose inches away from the table and food, and it was quiet enough for our daughter to play next to a (fenced off) stream. We wandered into the village, a fifteen minute walk with little legs. There is a shuttle bus service offering regular trips back and forth, but we didn’t think we’d get Lupo on its metal flooring and up high steps. Smaller dogs would be fine to be held, I’m sure. The village had a small alcove, pebble beach, which is what our daughter and Lupo had been waiting for. We threw stones into the water – keeping him on a lead as requested by the signs, and watched as he stalked the seagulls. His last chase ended up with him leaping into the water up to his neck, which he didn’t expect. Thankfully we could guide him back on the lead. He’s not much of a swimmer, more suited to paddling! We finished off our visit with an ice cream from… our daughter was adamant her icecream had to be pink, so she actually ended up with Raspberrry sorbet in a teddy shaped cone. It was at this point that Lupo’s popularity with the general public started to rocket. I don’t know what it is, perhaps a combination of Dobermanns not being very common, or his size, but we got so many people chatting to us, smiling or just directly chatting to Lupo and ignoring us, it was both surprising and heart warming to see. He is an absolute softy in return, I was worried as he has become grumpier in his old age – sometimes he barks at people wearing hats for example! But he couldn’t wait for a head scratch or to wipe his nose on anyone giving him attention. We made our way back to our lodge to unpack, after stopping at the supermarket for essentials which was just 5 minutes down the road. Our lodge was a two bedroom chalet version, consiting of an open plan kitchen and living room, with enough room for dining table and two sofas. We then had two bedrooms and a bathroom that divided them. There was just enough time for a game of football next to the golf course. Lupo and our daughter had some treats waiting for them them on the table. Lily’s Kitchen tinned food and biscuits for him – which he loved and devoured! For her, a plate and mug set, and mascot toy from Hoburne. We all had an early night after such an early start and Lupo was quite happy surrounded by his blankets from home, on the rug in the living area. The next day saw us in the car again, afraid you have to do that in Cornwall as there is so much to see! We headed to Padstow, about a 45 minute drive, famed for hosting Rick Stein and his many eateries, but also the beautiful beaches. It was here that Lupo boarded a ferry for the first time, nervous but stood patiently as we crossed the estuary to head for the golden sand. I was so surprised at the beaches, I had heard they are good but wasn’t prepared for how worlds apart they are from our Yorkshire ones. The sand was golden, the sea, even on an overcast day was greeny/ blue. As you can see, Lupo loved it. It was pretty busy in Padstow, so we didn’t want to squeeze in a pub, despite many choices of dog friendly ones. So we enjoyed a traditional Cornish pasty overlooking the harbour, followed by fresh, warm scones with all the trimmings. Ice cream number 272 for our daughter that weekend. It was also here that Lupo was once again mobbed by adoring fans, people stopping to chat and comment on how lovely he was – I was a proud dog parent! The final day was spent despairing looking at the rain outside but deciding it would be a shame if we didn’t go to Newquay whilst we were so close, so we headed off at lunchtime. We found a dog friendly pub with good reviews for it’s food, The Red Lion, so the four of us made ourselves comfy and Lupo flirted with the waitress by staring adoringly at her as she gushed over him. The pub was great as there was lots of space between tables, which was a good job as Lupo was very relaxed and laid fully on his side at one point taking up quite a bit of room. Our last beach visit to Fistral, a five minute walk away, saw us collecting shells to take home and Lupo getting caught in the waves. I was more excited at seeing the Headland Hotel on the cliff face, made famous in the film all those years ago, The Witches. By the time we were back to our lodge and drying off, it was time to pack up and prepare for the journey home the next day. Lupo is really good in the car, and is quite happy going to sleep in the boot, so we only have to stop once or twice for toilet breaks. I really think taking him on lots of car trips as a puppy, even just for practice, helped with how calm he is. So if you’ve got a new canine addition, get them out experiencing these things you find normal, so it becomes normal for them too. We had a lovely weekend away with Hoburne. Dog friendly holidays are different, especially when your dog doesn’t easily fit in your handbag to take places, but you learn to adapt and work around his needs as well as the need of the family. The Hoburne parks are all set up to make it easy to bring your dog, lots of wide open space, handy dog waste bins and those treats in the lodge that were much appreciated. Cornwall has always been somewhere I’ve always wanted to visit, and it was great to have Lupo experience that with us too. He is part of the family after all. You can read more about the Hoburne parks that are across the UK here. Prices are around £300 for a 3 night break at Hoburne Doublebois, for two adults and a child in June 2016. Plus your dog of course, for whom there is no extra charge! Sounds like a perfect break, with dog in tow, just like most of our breaks!